Two allied armies of near-equal size stand at the ready across the field from a ragged and cornered battalion. The sorry state of this quarry is a testament to the strength of your alliance, and this final skirmish, a swift battle, should see your foe’s final defeat. In Condottiere, bold assaults and clever feints will put your strategic prowess on full display and bring victory. 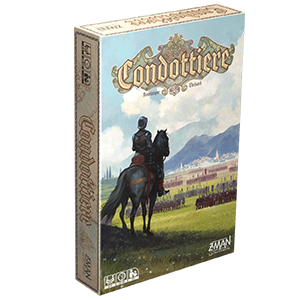 Condottiere is available for pre-order now through our websiteor your local retailer and will be available for wide release very soon! We previously discussed the exciting strategic gameplay as well as a fascinating look at the game’s visuals from the previous edition’s artist. Today, we discuss the flexibility of the ruleset and components to allow for more play options. 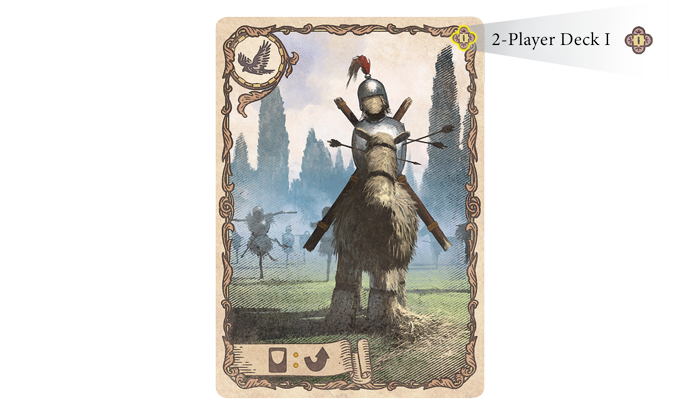 With new special cards, gameplay updates, and rule variants, the Fantasy Flight Games’ modern version of Condottiere revived the classic for new audiences. However, many longtime fans of Condottiere longed for a remaster of the game they loved in its original form. Included in this edition are the components and rules for both versions of the game. For either version, simply include cards marked with the icon of the version you want and remove cards with the icon you don’t want. 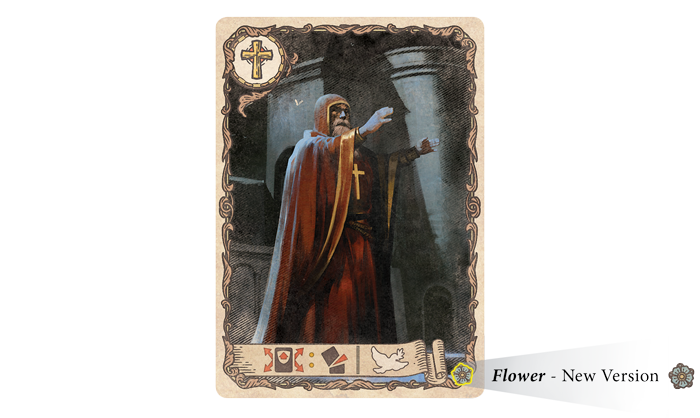 Cards specifically for the new version of the game will have the flower icon in the lower right corner. Cards for the classic version will have the fruit icon in the lower right corner. 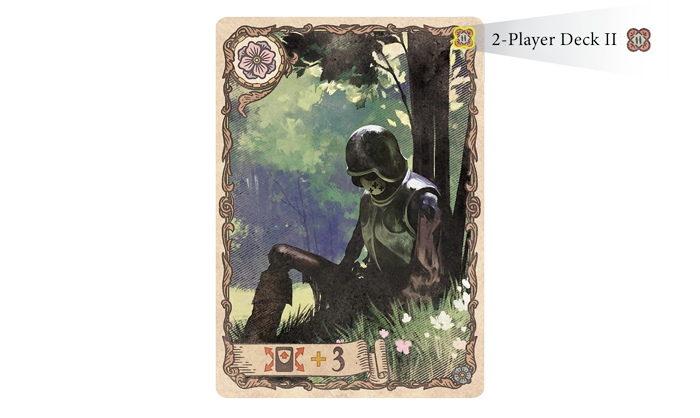 The last two icons shown in the graphic below are to indicate the deck for the two-player variant, which we discuss further below in this article. Those icons will be in the top right of the card. 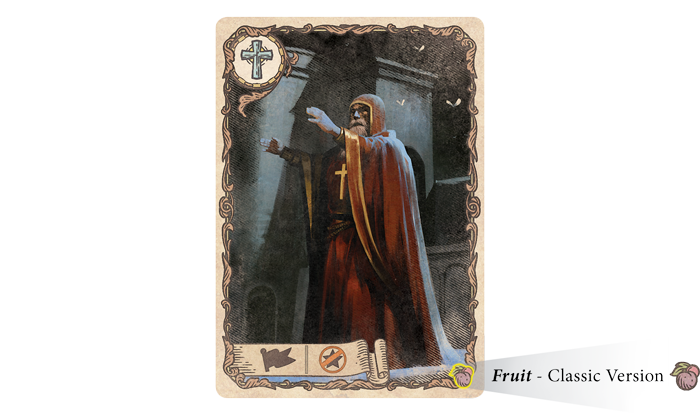 The special cards added in the modern version feature cards like Spring, which bolsters all copies of the strongest unit in play as well as the Spy, who uses guile and deception to usurp the ability of a battle winner to determine where the next battle will be fought. The largest difference between the versions lies in the different effects of the Bishop. In the modern version, the Bishop removes all copies of the highest value card from play as well as temporarily prevents a space on the board from being chosen as the site of a battle. Thus, players must be careful how and when they play their powerful mercenaries lest they get removed. In the classic version, the Bishop halts the current battle, ending it completely without a winner. Though there are fewer copies of it in the deck, it looms as a threat that encourages caution against over commitment in a given battle. During setup, instead of a single central deck, two separate but identical decks with specific card sets are created and given to each player. At the end of each battle, both players draw back up to the starting hand size (8 cards in this mode) regardless of how many cards they spent during the battle. When a player runs out of cards, they cannot shuffle and must pass for the remainder of all battles. As players have identical sets of cards, they must try to strategize, bluff, predict each other’s strategy across multiple rounds of battle. Your opponent has access to the same powerful cards that you do, so you must find ways of drawing those cards out to minimal effect while maximizing the use of your own. Regardless of how you wish to play, Condottiere has an ideal blend of bold strategy and cunning intrigue. 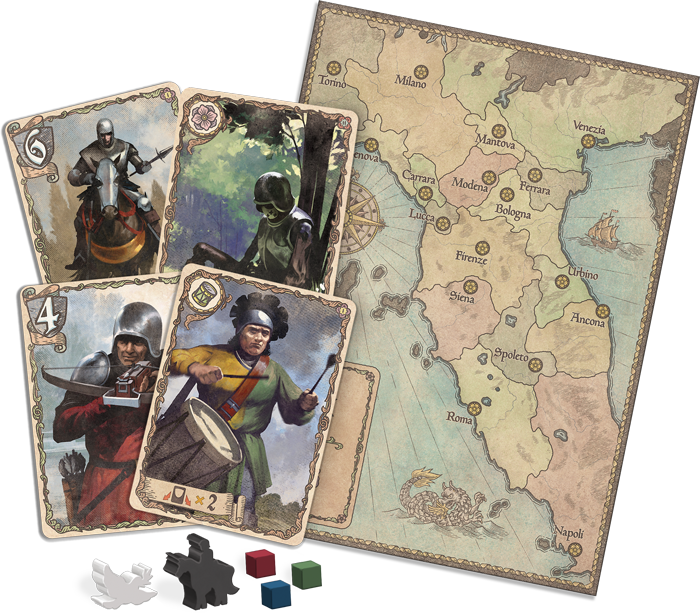 Pre-order your copy of Condottiere today and ready your mercenaries!